While the rest of the country is preparing for cool weather and a blanket of white snow, here in South Florida we are still rocking our shorts and preparing for Florida’s blooming season aka Allergy season. Along with Allergy season comes Cold & Flu season as well. In preparation for this, Puffs Plus Lotion is NEW at Sam’s Club in a 10-pack and I grabbed one while at my last Sam’s Club trip. With a toddler in tow I’ve got my hands full. My little one loves to run outside and play with her friends. This means I need to do my best to fight against anything she comes in contact with, along with any germs I encounter myself. 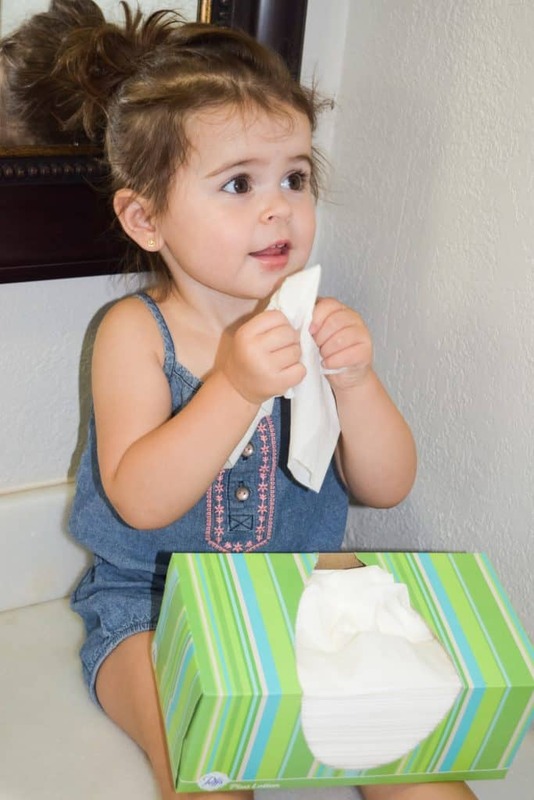 One way that we fight against the season’s germs is taking a bath/shower when we return from a play date or activity. This allows me to change her clothes and get her body clean. This is an easier task for me because I am a stay at home mom. Taking a bath/shower in the middle of the day is not an inconvenience, it is actually a fun activity for my daughter. She loves her bath toys and splashing around. We also try to fight germs by always washing our hands. Washing our hands is something that my daughter thinks is fun. 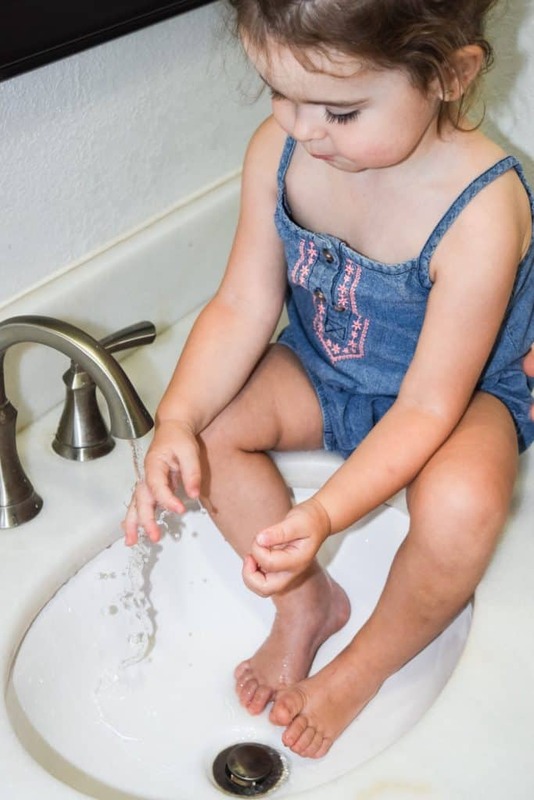 I try to teach my daughter to wash her hands when she comes inside from playing, before/after meals because….let’s be honest she is a toddler and more of the time she eats with her hands anyways. Due to her size we often end up getting a foot wash in at the same time. I always keep a foam anti bacterial wash in my diaper bag. We often use this for a quick on the go. If we are leaving an activity, after sneezing and prior to a meal eaten out. We try to eat veggies and fruits often as possible and this also helps us fight against any germs that may bring on the cold/flu season. Luckily my daughter loves blueberries and broccoli, these have great cold/flu fighting components. 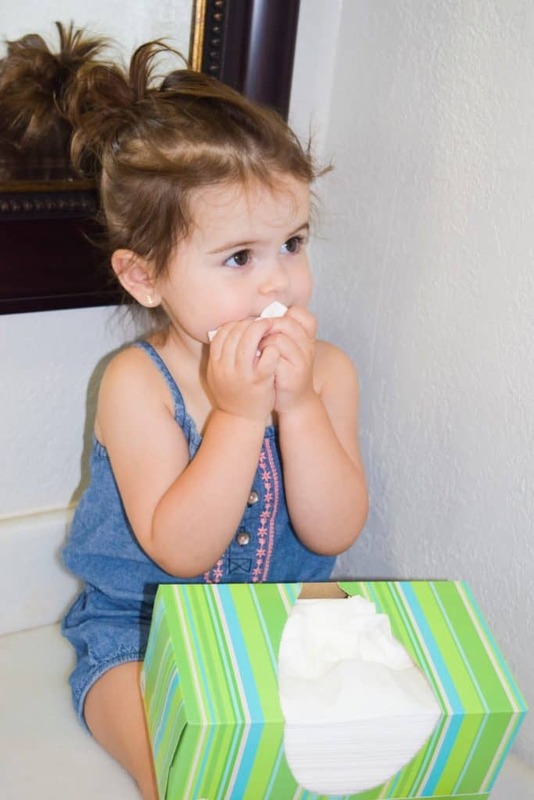 When the time comes that we do have a sniffle, or a sneeze comes on, we reach for our Puffs Plus with Lotion, they are perfect tissue for sore/runny noses needing some extra softness during Cold/Flu and Allergy season. Both my daughter and I have very sensitive skin. For me, when I get sick it often comes along with a dry, irritated nose from the continuous rubbing. However, these last few seasons any sniffle I have encountered was battled with my Puffs Plus with Lotion and my nose has never been happier. For my daughter, she is like any toddler, she hates her face being wiped. When I let her do it herself and she uses a Puffs Plus with Lotion; she loves the feeling and it never irritates her skin. 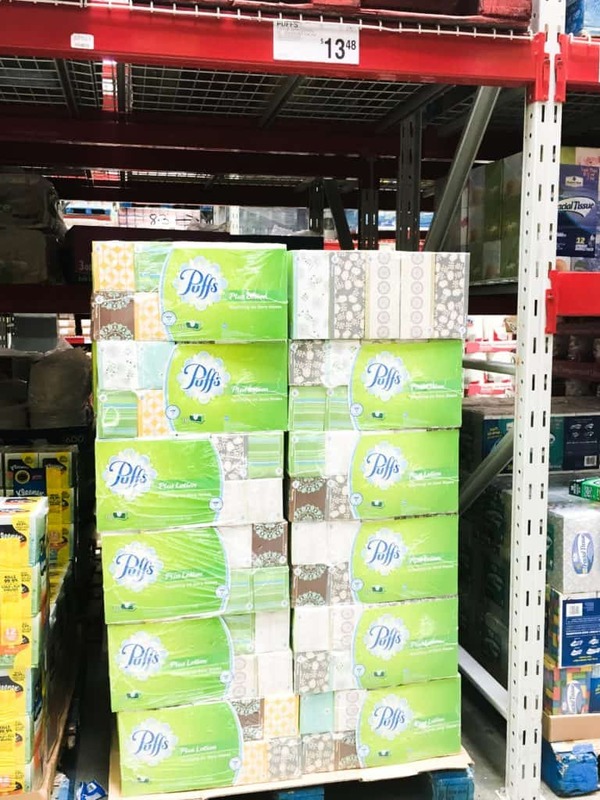 Puffs Plus Lotion is now available at Sam’s Club in a 10 pack — perfect for any room and any need! With all that happens in life, you always need a box of tissue handy, so it just makes sense to place a box in practically every room of your home. I stocked up on tissue when we went back to school shopping as well, and it has already come in handy. My six year old is finally getting over a stubborn cold and has had a box of Puffs at hand for weeks. Thanks for all the info!